Please note: the second half of this article, which discusses the season 3 finale of Downton Abbey, contains SPOILERS. Do not read that section if you do not want to know what happens in the Downton Abbey finale. 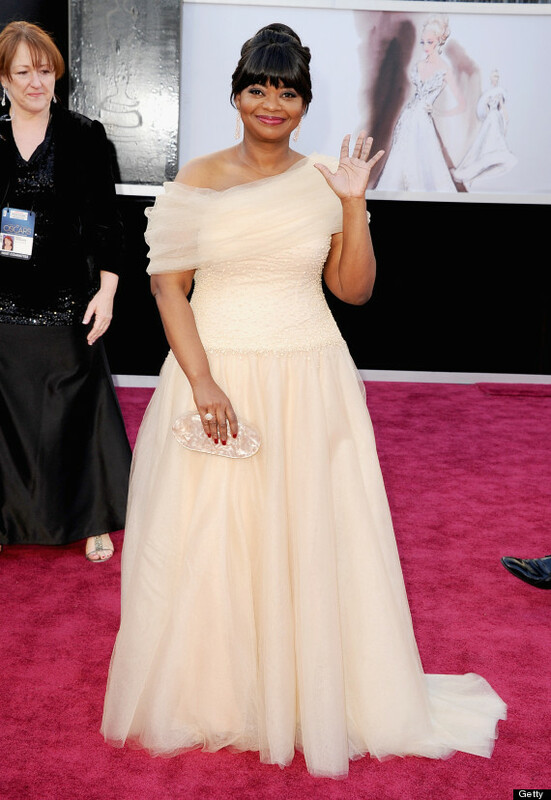 Last night the 85th Academy Awards took place in Los Angeles. For me, it was a night of mixed emotion. I was happy for all of the winners... the awards seemed to be very evenly distributed among the top films. I was particularly happy for Life of Pi, which won so many awards (I was rooting for Life of Pi for best picture but was still happy that Argo won). Ang Lee is a class act and he deserved greatly to win for best director. 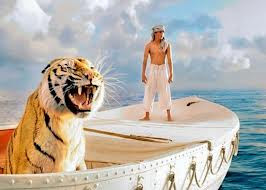 If you haven't seen Life of Pi yet try to see it in the cinema. It is the most visually stunning movie I have ever seen. The story, based on Yann Martel's bestselling novel, is fantastic and endearing as well. Mr. Connoisseur and I were both incredibly moved by this film (and he is a tough audience!). My two best dressed picks for the night were Jessica Chastain, who looked gloriously Old Hollywood with her custom Armani gown and beautifully smooth tresses, and Octavia Spencer, who personified classiness in her lovely Tadashi Shoji gown. My pick for best hair would be Jennifer Lawrence with her beautifully chic chignon and Reese Witherspoon with her fabulous Veronica Lake-esque waves. Now for the controversial part. Call me humorless but I thought a lot of Seth MacFarlane's jokes were in poor taste. Sadly what is being deemed as 'edgy' humor is also low brow and tasteless. I agreed wholeheartedly with Marlow Stern of the Daily Beast, who said last night was the Juvenile Oscars. Next year can we please have a classy Oscars ceremony? I love Billy Crystal's musical numbers and enchanting monologues. I would like less of the mean-spirited zingers and jokes meant to shock people. I know, there I go again sounding like a 95 year old woman but my favorite film stars of the golden age of Hollywood would be appalled. I'm secretly hoping that Tina Fey and Amy Poehler will host next year... fingers crossed! SPOILER ALERT This next section contains Downton Abbey Season 3 spoilers. Please DO NOT read on if you don't want to know what happens in the season 3 finale. OK then you've seen Downton Abbey and are ready to discuss! So can we please discuss the Downton Abbey season 3 finale? I was terribly upset that Matthew died at the end of the episode (even though I knew it was coming... thanks Daily Mail!). He and Lady Mary had just had their child and it felt so wrong... like a slap in the face! Especially coming off of Lady Sybil's shocking death. I mean, what does Downton Abbey have against new parents?! I was instantly upset and took to the internet to find out why... Why would Julian Fellowes write Matthew off the show? Ah, then I discovered Dan Stevens, the actor who plays Matthew, wanted out of his contract. Fellowes and the other writers had no other choice but to kill him off. I'm sure I will get over it and they'll probably write in a very exciting and dashing love interest for Lady Mary but until then... Boo. All is not lost though. I really like the Branson storyline... a former chauffeur with radical political views living a new life upstairs in the House... brilliant. I also love Mrs. Patmore (please never leave). I am always rooting for Lady Edith. And, of course, Maggie Smith as the Dowager Countess is beyond marvelous. Her witticisms warm my heart. Come back later this week for a lipstick review and giveaway! Until next time, I would love to know... what did you think of the Oscars? Downton Abbey? Last week I attended the world premiere for the new Disney film, OZ The Great & Powerful, at the El Capitan Theatre in Hollywood. Palak Patel (the husband of one of my very best friends) produced this film that was directed by Sam Raimi. The whole event was fabulous from the red carpet that was made to look like a yellow brick road, to the enormous hot air balloon outside of the theatre. I also got to see all of the stars up close: James Franco, Michelle Williams, Rachel Weisz and Mila Kunis. The movie was enchanting, action-packed, funny and visually stunning. The 3D effects were particularly incredible. To learn more about OZ The Great & Powerful click here. And thank you to Palak and Juliana for inviting me to this wonderful premiere! I've had a terrible cold this past week and am slowly recovering... so there will be no video this week as I can barely speak! ♥ Lessons from Madame Chic (Le lezioni di Madame Chic) will be coming out in Italy in May of this year and this will be the cover. I love how dramatic, mysterious and oh so Italian it is. It will be issued by acclaimed publishing house, Piemme. ♥ Last week's post and video, Reader Questions Answered, got a great response. Thanks everyone! I look forward to continuing that series. ♥ I've been shooting a video on regrowing my orchids over the past few weeks, which I think you'll enjoy. ♥ Speaking of house plants, I am taking an interest in African Violets now too. These are fickle creatures that require a precise kind of care but are beautiful to keep in the home as well. ♥ I've been on a massive organization mission in my home that was inspired by the film, Amélie. I'll get more into specifics later... sorry to be so mysterious! ♥ We rarely talk about television but I have (of course) been loving Downton Abbey. Mr. Connoisseur has gotten into it this season too! We've also been watching Elementary on CBS. I love the new modern take on Sherlock/ Watson with Jonny Lee Miller and Lucy Liu. The excellent BBC Sherlock will be coming soon as well. I am such a big Sherlock Holmes fan I can't get enough of either series. ♥ This week I will be attending the world premiere of OZ The Great and Powerful. Hopefully I will feel better by then! I plan on shooting a video to show you what I'll be wearing and discussing how the event went the next day. Thank you to all who entered the Benedetta Giveaway last week. I really enjoyed reading what you love about your skin. So often we focus on the negative— on what we'd like to change about ourselves. I think it's refreshing to focus on the positive. Stephanie C., NYC, NY, who loves that her skin refreshes itself over night after having a good night's sleep. Congratulations Stephanie! Please contact me with your shipping details and I will have Benedetta send you your prize. I hope you all have a wonderful weekend. I will have another giveaway very soon... a lipstick giveaway from Belvada. Please stay tuned. ♥ I'll leave you with this lovely review from Pammy Blogs Beauty of Lessons from Madame Chic. I've received so many emails from readers... too many to individually respond to! (I am aware this is a high quality problem.) But I do want you to know that I appreciate each and every one. Because many of you have similar questions, I've decided to start a new series on the YouTube channel called Reader Questions Answered. Every now and then I receive a wonderful testimonial for Lessons from Madame Chic like this one from Kristin P. in Anoka, MN. This letter makes me so happy. Thank you Kristin! I read your book in 2 days! I loved it! Your lessons have taught me how to make my dream of a simple, uncluttered, and very enjoyable life a reality. The first thing I did was minimize my daily makeup routine. No more need to buy the next eyeshadow palette. Now I use my prettiest eyeliners and embrace my lipstick collection everyday. Next I separated my wardrobe into seasons. Then I took a look at my current life and weeded through. I am left with 18 pieces that are my favorite and the most chic. There are so many other changes I have made. From the way I prepare and eat my meals to how I communicate and entertain. I feel as if I have created a few more hours in a day! I can enjoy music, art, the world around me! The best part is...my husband has noticed, and he LOVES it! He is always commenting on how nice I look. We are enjoying the finer moments in life together much more than before. We aren't feeling consumed with consuming. Thank you, thank you, thank you for writing this wonderful book! 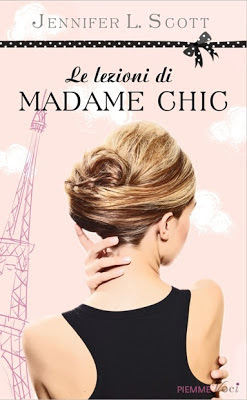 ♥ The Midwest Book Review says: Lessons from Madame Chic is a fine pick for any interested in women's fashion, style, and how the French have recreated style lessons. ♥ Beauty Info Zone says: Jennifer enumerates some wonderfully stylish suggestions on simplifying and improving your diet, your look, and overall satisfaction and enjoyment of life. ♥ The Portland Book Review says: Scott’s message of living passionately, enjoying the little things in life and truly living are great mantras to guide one’s life. Have a wonderful week! 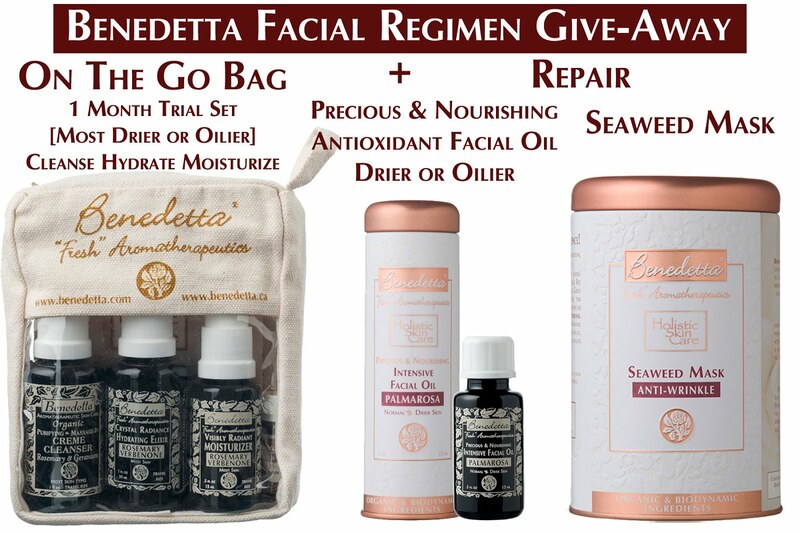 Don't forget to enter the Benedetta Skin Care Giveaway. I will announce the winner this Friday... good luck! I love to do giveaways because it makes me happy to give back to you. 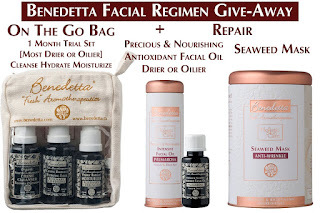 This week I have an exciting giveaway for you from one of my favorite organic, holistic, eco-friendly and (very important) high quality skincare companies, Benedetta. As a result, Benedetta preparations feed your skin, and have shown to CORRECT, PROTECT, and REJUVENATE with continued success. The lovely Julia from Benedetta has offered to do this generous giveaway for readers of the Daily Connoisseur. The winner of this giveaway will receive an On The Go Bag (suited to their skin type), Precious and Nourishing Antioxidant Facial Oil (for dry or oilier skin), and the Seaweed Mask (all together a $140 value). Precious & Nourishing Facial Oils correct free radical damage deeper into the skin, reduce age spots and are anti-wrinkle. The winner will choose between Palmarosa (normal to dry) and Geranium (oily). The Seaweed Mask detoxes, is anti-wrinkle, soothes puffiness and provides blemish control. Please note, due to restrictions, this giveaway is only available for United States residents only. 1. Leave a comment below stating your first name, last initial and city and state where you live. 2. Let us know what you love about your skin. 3. To be entered into the giveaway twice like Benedetta's Facebook page here. (Please let me know that you have done so so I can enter you twice). Good luck! I will be announcing the winner one week from today. To learn more about Benedetta, visit their website at www.benedetta.com or click here. See you next week where I will be answering reader questions. Have a great weekend!